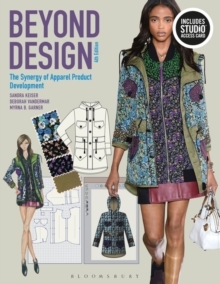 This informative, full-color text takes students step-by-step through the decision-making involved in the pre-production processes of apparel product development---planning, forecasting, fabricating, line development, technical design, pricing, sourcing, and distribution. It demonstrates how these processes must be coordinated to get the right product to market, when consumers want it, and at a price they are willing to pay. The 4th Edition has been edited around a new metastructure to maximize student learning. It continues to build on the themes of sustainability, business ethics, and the impact of fast fashion and social media while seeking to address opportunities for both large and small companies, and entrepreneurs. The text advances its discussion of how new technologies continue to shorten the product development calendar. Chapters have been updated to include current examples, updated charts and graphs, and more case studies. There are updated references to contemporary developments with examples relevant to today's student. New to this Edition* Includes international examples and case studies that address the effects of globalization* Advances the discussion of the pros and cons of fast fashion vs. slow fashion* Revised, easier-to-read charts and graphs and 30% new color photographs* Thoroughly revised Chapters 12 (Sourcing) and 13 (Costing and Pricing) updated with most recent info on trade laws, changes in sourcing criteria and wages in international sourcing countriesBeyond Design STUDIO * Study smarter with self-quizzes featuring scored results and personalized study tips* Review concepts with flashcards of essential vocabulary* Watch videos that bring chapter concepts to lifeThis bundle includes Beyond Design and Beyond Design STUDIO Access Card.